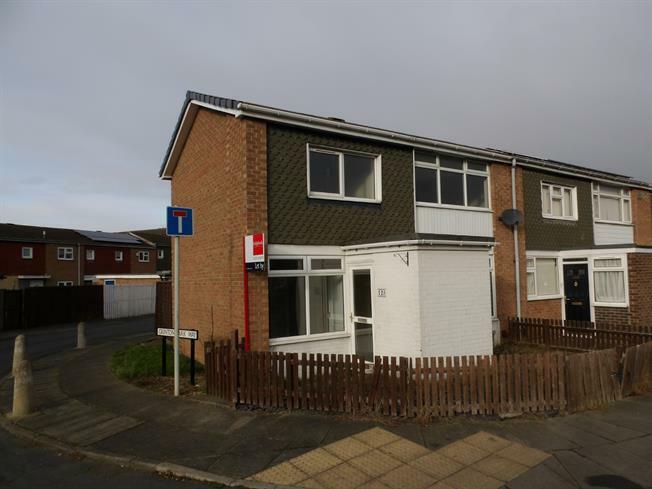 2 Bedroom End of Terrace House For Sale in Darlington for Offers Over £70,000. Situated in the sought after Eastbourne area of Darlington this spacious property benefits from. Lounge, kitchen diner, two bedrooms, bathroom and rear garden. The Property also comprises gas central heating and uPVC double glazing throughout. Open plan and spacious kitchen diner. The kitchen section is to the rear of the property and comprises an array of wall, floor and drawer units, stainless steel sink with mixer tap, tiled walls, space for white goods. Situated to the rear of the property comprising bath tub and pedestal wash hand basin.